Today we are highlighting the market in Somerset, MA in Bristol County. The Somerset, MA market has fallen off since last year. The average prices were down a bit and the median prices were down as well. However the days on market were down a huge amount, though the initial numbers may be a bit overstated. Inventory was up a bit with 10 sales in March of 2015 and 16 in March 2016. We will first start off by looking at the average listing price. In Somerset, MA the average listing price in March 2015 was $239,080. This was down to $221,019 in March 2016. This gives a decrease of 7.55% year over year. Looking at the median prices we see that it was higher in 2016 and just a little bit lower in 2015. For March of 2015 the median listing price for Somerset, MA was $237,450 and in March 2016 it was $226,000 which now gives a decrease of 4.82%. The next thing we will be looking at is the average sale prices. The average sale price for in Somerset, MA in March of 2015 was $237,013 and in March 2016 that was down to $214,781. That gives a bit higher decrease of 9.38% compared to the average list price. We see a slightly different pattern than we did with the listing prices here for the median sale prices, where this time both were less than the averages. For March of 2015 the median sales price for Somerset, MA was $234,500 and in March 2016 it was $214,500 giving another sizable decrease of 8.53%. All the metrics show prices are down in Somerset, MA this month. The overall range is fairly small though going from roughly 5-9.5%. The median list price is a little bit of an outlier on the low side and since listing prices are less important than the sale prices we would discount that one and take the 7.5-9.5% range of the other 3 metrics as our base. Medians are generally the favored metric and specifically the median sale price is considered the most important. Therefore we would conclude that prices are most likely down right in the middle of that range at the ~8.5% decrease seen with the median sale price. Finally the last metric we look at are the average days on market, which is the measure of how long it takes for a property to sell in the current market. For Somerset, MA the average days on market in March of 2015 were 272.80 and the average days on market for March 2016 were 62.44 for a huge 77.11% decrease. However, as we have seen many times before in our previous posts for Abington, Bedford, Seekonk, Belmont, Topsfield, Canton, Dracut (Condos), Hamilton, Wakefield, Amesbury (Condos), Dracut #2, Taunton, Reading, Stoughton, Wrentham, Stoneham, Dedham, Nashua, NH, Tewksbury, Brockton (Multifamily), Lowell (Multifamily), Acton, Foxboro, Pembroke, Chelmsford, Beverly, Framingham (Condos), Plymouth County (Condos), Marlborough, Billerica, Waltham, Dracut (Condos) #2, Derry, NH, Framingham, Burlington, Duxbury, Acton #2 , Taunton (Condos), Tyngsborough, Milton, Salem, NH, Boston’s Hyde Park, Boston’s West Roxbury , Somerville, Canton #3, Pelham, NH, Westford, Plymouth (Condos), Boston’s Jamaica Plain , Halifax,Braintree (Condos), Newton (Multifamily), Plainville ,Boxford, Wayland , West Bridgewater, East Bridgewater, Marlborough (Condos), Natick (Condos), Gloucester, (Condos), Melrose (Condos), Norton (Condos), Newburyport, Atkinson, NH, Fairhaven, Lexington, Arlington (Condos), Salisbury, Weston, Groton, Wellesley, Littleton, Lowell (Condos) #2, East Boston (Condos), Dedham #3, Hanover, Canton (Condos), Belmont #2, Seabrook, NH, Hingham (Condos), Lakeville, Raynham, Holliston, Londonderry, NH, Georgetown, South Boston (Condos), Needham #2, Arlington #2, Foxboro #2, Boston’s Roslindale (Condos), Burlington #2, Salem NH #2 and Boston’s South End (Condos) #2 outliers in the data can really skew these numbers. This again is the case for Somerset in March. In this instance there was a very high days on market place in 2015. In 2015 there was a property with 1035 days on market; this was almost as much as the next 3 properties combined and almost 38% of the total days on market for all 10 Properties. When removed the new calculation for the remaining 9 properties gives an average days on market of 188.11. Using the adjusted numbers we now get a decrease of 66.81%. This does not change the general conclusion of the days on market being significantly down. Now the size of the decrease is a little smaller while still being very, very large. 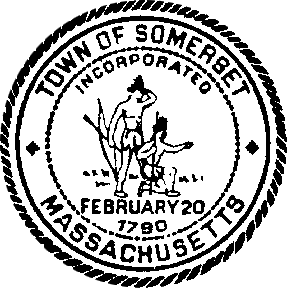 The Somerset, Massachusetts real estate market is down since last year. The average prices were down as were the median prices too. The days on market were down a lot though which does serve as some counter argument to the down market. Unlike many of our other articles where price drops were also accompanied by lower days on market, the decrease is large enough that the argument that those are as important as the price drops. Generally the decreases for the days on market were far smaller and the price drops were often a bit higher. Therefore even though we are concluding that the price drops are the more important factor if someone was to argue that we are overstating the decline after taking into account selling over 4 months faster we would not push back very hard on that point. In summary if you are looking to sell a house in Somerset, MA now you should expect to get less for it than you would have gotten last year. You can also expect it to take a much less time to sell compared to last year as well. Do you need to sell your Somerset, Massachusetts house fast? If you would like to sell your home fast and hassle free schedule a consultation with us today.